The Hizballah of 2005 is a pragmatic terror organization which is far more dangerous than the Hizballah of the 1980s. The organization operates simultaneously both within the Lebanese political system and outside it. For over a decade the organization has been investing a great deal of effort in obscuring its terrorism image, by emphasizing its political activities and its legitimacy within the Lebanese political system on the one hand, and on the other, by hiding its military and security activities under a heavy cloak of secrecy. The U.S., Australia, Canada, Israel, and recently also Holland, have defined the Hizballah as a terror organization and are acting accordingly. However, the European Union still perceives the Hizballah as a legitimate social organization, with representation in the Lebanese parliament, and they draw a distinction between the Hizballah and what they term "External Security Organizations". This is particularly salient in the light of the German Court ruling in December 2004 regarding the Hizballah. In December 2004, the German court (in Dusseldorf) confirmed the decision of the German security authorities and ordered the deportation of a Hizballah activist who had been living in Dusseldorf for several years. The court reasoned that the petitioner was a member of the Hizballah organization which supported international terrorism and attacked Israeli civilian targets outside Israel's borders. The court determined that the fact that the organization does not appear on the European Union's list of terror organizations is irrelevant, because the European Union list is determined according to the various political interests of the member-states, in accordance with their wishes and therefore is not legally obliging. The fundamental difference in the international community's definition of Hizballah, thwarts any possibility of directly or indirectly pressurizing the organization. While the U.S. and Israel are acting to eliminate the organization as a terrorist entity, European diplomats are meeting with its leaders. This international environment enables Lebanon, Syria and Iran to maneuver between the European position and American pressure. The lack of a uniform definition of the term "terrorism" prevents international cooperation in fighting the terror organizations. This fact, and the fear of the international community players of becoming too involved in areas saturated with violence and terrorism, where their interests could be harmed, play into the hands of Hizballah. Even in the 1980s, when Hizballah was active in perpetrating attacks against the international community, they found it difficult to cooperate in bringing effective pressure to bear against the organization. The conclusion is therefore: In the absence of a basic agreement that the organization is a terrorist organization, the international community influence on Hizballah is totally marginal. The organization has been significantly active over the years and has established an international terror network based on activists enlisted from the Islamic population all over the world, both Shi'ites and Sunnis. This network is activated and controlled by the organization's headquarters in Lebanon and is active in various fields, including fundraising for the organization's operations in Lebanon, creating new financing sources by smuggling (drugs, cigarettes and munitions), money laundering, acquisition of munitions and enlisting new activists. These operations strengthen the organization's standing in the global village and improve its ability to perpetrate attacks within a short period of time, or alternatively to assist other terror organizations in the global arena. 1. Obtaining legitimacy for Shi'ite activism. The Shi'ite community, which until Khomeini's time was passive and depressed due to its being a minority within the Moslem world, underwent a process of change under Khomeini's regime and became an active community which aspires to achieve political aims, including by violent means. He called for action of the depressed (the Shi'ites) against the oppressors. 2. Creating de-legitimization of the corrupt Moslem regimes. 3. Joining the Jihad against the corrupt Arab rulers and the West, as a means of advancing the vision of an Islamic nation. 4. Defining the enemies. Khomeini established two terms which defined the enemies of Islam. One, the "big Satan", which refers to the U.S.A. and the other term is the "little Satan", which relates to Israel. 5. The principle of sacrifice. This ideal of moving from total devotion to sacrificing the soul, within the framework of Jihad against the enemies of Islam, was the basis on which the suicide phenomenon developed, as a strategic means of terrorism to achieve its aims. Hizballah adopted the idea at its inception, by perpetrating the first suicide bombing attacks against the Americans, the French and the Israelis in Lebanon in 1983. This modus operandi was adopted later on by other terror organizations. 6. The rule of the sages. This idea, formulated by Khomeini, was that the religious sages should govern the Islamic state, because they are the only ones who know how to interpret the Divine Law. The Hizballah also religiously adhered to this principle, which was exclusive to the radical Shi'ite school of thought. 1. The application of Islamic law in Lebanon, as part of the worldwide Islamic revolution. 2. The banishment of foreign forces from Lebanon. 3. The extermination of Israel and the liberation of Jerusalem. The Creation stage - Between the years 1975 and 1982. This stage is very important in order to understand the organization's growth. During this stage, the pre-movement groups developed on the fringes of the Shi'ite community and inside Amal. The Establishment stage - Occurred during the years 1982 to 1983. This stage was essentially revolutionary and was characterized by unrestrained extreme terror attacks, perpetrated by groups and secret radical cells affiliated with the organizational framework. The Consolidation stage - Between the years 1983 and 1985. During this stage the ideological framework was crystallized, the radical violence continued, led by the revolutionary charismatic pro-Iranian leadership. The Expansion stage - Between the years 1986 and 1991. This was the stage where the buds of the embryonic institutional movement appeared, as a result of the increase in the number of activists, and the areas of operation. The radical violence continued simultaneously, peaking at the end of the 1980s, with the breakout of the struggle for control between the Shi'ite community and the Amal movement. The Institutionalized stage - This is the stage in which the organization has been since 1992, when it integrated into the Lebanese political system. Its activities are characterized by pragmatism and political realism and they are motivated by profit and loss considerations. The organization is controlled by the Shura Council which is comprised of seven members, headed by Hassan Nasrallah, head of the organization since February 1992. In August 2004, the Council was re-elected to direct the organization's operations. It is noteworthy, that all of its members, with the exception of Imad Mugnia, who is also responsible for the Jihad Council, are religious sages. The Council is responsible for the organization's operations on every level (social, political and military) and it is aware of all the organization's activities in the Middle Eastern and international arenas. The Council controls the following bodies: the Executive Council, the Political Council, the Military Council (Jihad council), and Nasrallah himself directly controls the Military Council. Iran and Syria influence the decisions of the Council, due to their relationship with Nasrallah and the other Council members. The head of the Jihad Council is Imad Mugnia, who is responsible for many of the terror attacks which the organization carried out in Lebanon and abroad from 1983 onwards. The Council is responsible for the resistance and attacks against Israel, for the organization's militia and its overseas operations. This body operates in complete secrecy and, as mentioned, the organization only stresses attacks against Israel, which, according to Hizballah, continues to violate Lebanese sovereignty in the Mt. Dov area, therefore, presenting legitimate action against them. In contrast to the distinction which various countries make between the political arm of terror organizations and the military body of the organization, Hizballah explicitly declared, dating back to 1992, that its entrance into the Lebanese political system was aimed at advancing its resistance activities. 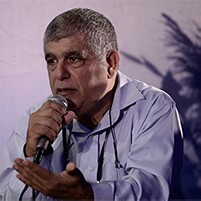 Muhamed Fannish, a representative of the faction in Parliament for the town of Zur, declared in September 1992, that the armed struggle against Israeli occupation, is the tour de force of every type of resistance and added that "our entry into Parliament is resistance on the political level, because it is natural for the resistance activists to have a political base behind them. This is because the armed struggle needs political assistance…our entry into Parliament constitutes a support factor in the armed struggle against the occupation". In October 1994, Nasrallah declared that the "AlWafa faction (the Hizballah faction in the Lebanese parliament) has become the mouthpiece of the resistance in parliament, inside and outside Lebanon". In January 2002, in a speech televised on Al-Manar, Muhamad Fannish, Hizballah's representative in parliament, stated that "Efforts are made to tempt the Hezbollah in order to hold it back. The objective is not to impair its political role; rather its military wing only. But I can say that no differentiation is to be made between the military wing and the political wing of Hezbollah". 1. The Shi'ite arena - where the organization fights for control of the community against the national secular Amal movement. 2. The Internal Lebanese arena- where the organization conducts its struggles and acts to advance its interests on a number of levels: in Parliament, in the municipal system, and on the social-communal level and on the economic level. 3. The Regional arena-which includes the players in the Arab sub-system: Syria, Iran, Lebanon, the Palestinians and Iraq, against the Israeli sub-system. 4. The International arena - The arena where the organization operates a highly organized international terror network. Hizballah is an international terror organization. It has established an international network which cooperates with other Islamic terror organizations in the international arena and spreads the idea of the "Islamic Umma" in this arena. The organization is building a logistical and operational ability which will enable it to perpetrate attacks against targets in this arena within a short period of time. The organization's international network is controlled by the Shura Council headed by Nasrallah and specifically by Imad Mugnia the head of the Jihad Council. The organization's international operations are mostly directed towards Israeli, Jewish and American targets and are dependent on the organizational and logistic network, built up over the years, in over 40 countries worldwide. The U.S. is ideologically perceived as Hizballah's primary enemy and it did not hesitate to declare this publicly in their attacks on American targets in Lebanon. For example, Nasrallah described the relations between his organization and the U.S. in February 1995 as "The U.S. is the first evil. The Imam (meaning Khomeini) described it as the biggest Satan….we are hostile to the U.S. because they are hostile towards us…..We only find adherence to oppressive aggression, and Satanism." In 1998 he stated that "the U.S. is the origin of all the calamities and destruction caused to our nation and all Arab nations. The Zionist murderous machine was built and financed by the U.S."
In 1997, the U.S. defined the Hizballah as a terror organization whose operations constitute a threat to American interests. The man responsible for the Jihad Council, Imad Mugnia, appears at the top of the FBI's list of most wanted persons and the U.S. is willing to pay twenty five million dollars for information leading to his arrest. An American terror researcher cognizant of American action against Hizballah wrote in 2003 that "Hizballah is a terrorist group of global reach, with an entrenched logistical support operating across Canada. The organization's reprehensible goals are clear, whether or not its officials actually articulate them. Hizballah should be banned not for its rhetoric, but for the terrorist activities - operational and logistical - that it conducts in Canada, the United States, South America, the Middle East and elsewhere." 1. Gathering operational intelligence on defined targets. 2. Keeping "sleeper" cells in field cells in various countries. 3. Raising funds for the organization's operations. 4. Smuggling - Cigarettes, drugs and diamonds. The organization operates independently or together with the Mafia in various places worldwide. This activity constitutes an important source of income for the financing of the organization's operations. 5. Acquisition and smuggling of weaponry. The existence of this global network provides the organization with the ability to perpetrate terror attacks within a relatively short period from the time the decision is made by the Shura Council. In October 2002, the U.S. Under Secretary of Defense, Doug Feith, stated that "one of the most highly developed and most dangerous networks, as Secretary Armitage suggested, is Hezbollah. ….. we recognize that. It is an organization that is functioning in many continents…… its operations are based largely in Lebanon. It's supported by the Syrians and the Iranians. It has operations cells in Africa, in South America, in Asia. We are certainly watching it, conscious of it, and it is one of the key international terrorist networks; there's no question about that." The first period is the decade of the 1980s, during which the organization carried out a series of terror attacks, which included suicide bombing attacks, hijacking aircraft and hostage-taking strikes of Westerners on Lebanese soil and abroad. During this period, the organization laid the foundations, with the aid of the Iranians, of its network of international activists and supporters. The second period is defined from the beginning of the 1990s and has continued until today. This period is characterized by the organization changing of its modus operandi abroad. It started to establish and expand its operational and logistic network abroad, while at the same time reducing the scope of its attacks in this arena against Western targets, focusing on "qualitative" targets, such as the U.S. army base in Dhahran in Saudi Arabia. Nineteen men were killed in that attack and more than 500 wounded. While the organization is conducting a continuous media campaign against the United States, it is encouraging attacks and even operating itself against U.S. interests in Iraq. During this stage, the organization has acted against Israeli and Jewish targets worldwide. Two of the most prominent attacks which it perpetrated took place in Argentina. On March 17th, 1992, the attack on the Israeli Embassy in Buenos Aires killed twenty nine people and wounded 250 others. The second attack was carried out on July 18th, 1994 in Buenos Aires against the Argentine Jewish Mutual Association (AMIA) during which 100 people were killed and dozens wounded. 1. In 1995, Singapore's security services thwarted a plot of a Hizballah cell to carry out a terror attack against Israeli and U.S. ships in the Malacca Straits. The cell had been engaging in the collection of information on their targets. Authorities uncovered a speed-boat, meant to be used in a suicide attack, very similar to the one that was foiled about a year after September 11 off the coast of Gibraltar. 2. In 1997, the Hizballah was found collecting intelligence on the U.S. embassy in Nicosia, Cyprus. North America - In the year 2000 a network of activists was exposed. They were accused, inter alia, of aiding the organization, by purchasing weapons and money laundering. The organization operates within the Shi'ite communities in the United States and Canada, to raise funds for its activities. In 2001, a Hizballah activist was arrested and accused of supplying weapons to the organization. In December 2002, Canada defined the Hizballah as a terror organization and similar to the United States, is working to prevent fund raising for the organization by the Shi'ite communities in the country. South America - The organization has a wide network of activists in the tri-border area of Argentina, Brazil and Paraguay, which are involved in crime, terrorism, logistic aid and financing activities. The organization's activists cooperate with the Iranians in perpetrating attacks, as well as with the activists of Al Qaida. The local authorities have difficulty in restraining or reducing the organization's activities from their territory. The organization is also active in additional countries on this continent including Colombia, Guatemala, Panama and Costa Rica. Europe - Europe is a comfortable activity base for Hizballah particularly due the fact that the organization does not appear on the European list of terror organizations. The organization dispatches its activists to perpetrate attacks against Israel via Europe. Between the years of 1996 to 2001 the following four activists of the organization were dispatched in this manner to Israel. 1. Hussein Mikdad (1996) - a Lebanese who was sent on a forged British passport. 2. Stefan Smirk (1997) - a German who converted to Islam, was sent to Israel on a German passport. 3. Fawzi Ayub (2000) - a Canadian of Lebanese origin was sent to Israel on a forged American passport. 4. Jihad Shuman (2001) a British citizen of Lebanese origin was sent to Israel on a British passport. On February 2. 2005 Iyad al-Shua Danish citizen of Lebanese descent was charged in Israeli court with spying for Hezbollah. He entered Israel with his Danish passport. In 2001, Sweden exposed a network of terrorism activists which was directly connected to Al Qaida and Hizballah. They were accused of transferring information, communications and funding. The organization raises funds for its operations in Europe through the activities of charitable organizations in Germany, Great Britain and Switzerland. This activity was particularly evident in Germany which in 2002, closed down two charitable organizations, the Alshahid Social Relief Institution and the Al Aqsa Fund, which were raising funds for Hizballah in Germany. The organization also operates, inter alia, in Russia, the Balkans, Turkey, Cyprus, Holland and Spain. Asia - Hizballah has a large organizational network in Asia, in particular in the Moslem countries in South-East Asia: Malaysia, the Philippines, Indonesia, Thailand, Korea and India. Reports relating to the activities of this network show that in 1995, plans existed to attack United States naval vessels and Israeli merchant ships anchored in the Philippines. It was also reported that they gathered intelligence information relating to Jewish synagogues in Manila and the El Al offices in Bangkok. In 1994, an attempted car-bombing of the Israel Embassy in Thailand was foiled, due to an accident. Reports show that the organization is enlisting local activists in South East Asia, sending them to Lebanon for training, so as to enable them to perpetrate attacks in their countries of origin and in Australia. Africa - Hizballah and the Iranians operate a widespread active network in Africa amongst the Moslem communities. Wealthy Lebanese Shi'ite communities in Africa donate funds to the organization. The organization is active in the Ivory Coast, Nigeria, South Africa, Zaire, Zimbabwe, Uganda, etc. The organization's activists and the Iranians have created cooperative ties with Sudan and Bin Laden. It is noteworthy that the organization operates a network of diamond smuggling in Africa. In June 2004, the organization refuted American claims that it profits from the diamond trade in West Africa. From the second half of the 1980s, the United States has been striving to eliminate the Hizballah as an organizational entity of terrorism and to reduce its influence in the regional and international arenas, by pressurizing Syria and Iran and drying up the sources of income and aid given to the organization. These measures have not achieved significant results so far. The relationship between Hizballah and Iran is that of a sponsor and a client, who share an Islamic Shi'ite common denominator, based on the higher religious authority in Iran. However, from the second half of the 1990s, as part of the effort to change its image, the organization declared that it was conducting an independent policy which was not influenced by Iranian decisions. Nasrallah himself several times stated that "we are responsible to the spiritual leader which was in the past Khomeini and today is Ali Kahmenahi. We adhere to the principle of obedience to the teacher of religious law". However, he added that "a decision made by the Iranian government does not bind the Hizballah organization at all." The reality on the ground is not as clear and unequivocal as stated by Nasrallah. The organization has been aided many times by Iran, as a means of halting Syrian and other pressure to restrain the organization or disarm it. Iran gives the organization 70-100 million dollars per year and supplies it with various weapons, mostly via the Damascus airport. In addition, it continues to support the organization's operations in the international arena. From Iran's point of view, Hizballah constitutes a means of perpetrating terror attacks to achieve Iranian interests on the one hand, and on the other as a major tool in the Islamic conflict with Israel. Syria acts as the landlord of Lebanon. In recent years, Syria mainly used diplomatic means to restrain Hizballah. It summoned Hizballah's leaders to Damascus for explanations, and involved Iran by asking it to use its influence with the organization. In certain cases, it even threatened to bring the organization under control. The "special" status which the organization enjoyed and the condoning shown by Syria, even when its interests were harmed as a result of Hizballah's actions, mainly emanated from the Syria's need to hold on to the strategic alliance with Iran. During Assad Jr.'s time in power, a change occurred in the fundamental nature of the relationship between Syria and the organization. Hizballah became Syria's strategic partner in Lebanon. Since the withdrawal of the Israel Defense Forces from Lebanon June 2000, Syria supplies Hizballah with weapons on the one hand, and political support in the Lebanese and international arenas on the other. The Hizballah leadership and the heads of the Shi'ite community in Iraq have had a close relationship dating back to the period when the leaders of the organization studied in the Shi'ite colleges in Najaf. The organization expresses its solidarity with the struggle of the radical Shi'ites in Iraq and finances the activities of the resistance against the Coalition and its Iraqi allies. The organization conducts a propaganda campaign against the Coalition in Iraq and endeavors to influence the Iraqis to join the opposition forces. Hizballah has opened an office in Iraq to advance the Shi'ite resistance, and its activists have even been arrested, according to one of the reports, on suspicion of being involved in terror activities, together with pro-Iranian activists. In May 2000, the Israel Defense Forces withdrew from Lebanon and thereby terminated a chapter of 18 years on Lebanese soil and a decade, which fluctuated between extreme escalation in the operations against Hizballah, and the near signing of a peace agreement with Syria. 2. Shooting at the Shebaa farm area which it claims is still occupied Lebanese territory. 3. Shooting at I.D.F. aircraft which penetrated Lebanese airspace. 5. Enlistment and operation of Israeli Arabs for activity inside the State of Israel, to gather intelligence information, and to carry out terror attacks. The organization has acquired a considerable quantity of arms from Iran and Syria and has deployed them in Southern Lebanon in field cells exclusively controlled by the organization (Hizballah land). The Head of Israeli intelligence, Maj.Gen. Farkash, has stated that the organization has approximately 13,000 short-range rockets, about 500 medium-range rockets and several missiles with a range of 115 - 215 km/s. The organization sees these weapons as a means of deterrence against Israel and has even defined its policy on the issue. Hizballah's leader, Nasrallah, feels secure in the organization's position in Southern Lebanon and therefore did not hesitate in September 2004 to define the reciprocity between his organization and the Lebanese army in the South, as follows: "In Lebanon there is an official Lebanese institution called the Lebanese army, and a popular resistance called the Resistance. Within on strategy, these two complement each other. They cooperate and share the roles in each, protecting and forming a fence around the homeland." The anarchy which has controlled the Palestinian Authority during the Intifada Al Aqsa, enabled Hizballah to become an influential organization within the West Bank and the Gaza Strip. The organization set up a network of terror cells in these areas, instructed them, on several cases from their Lebanese training camps, on how to carry out attacks, manufacture weapons, guerilla techniques, and pushed them to perpetrate attacks. In addition, according to Israeli intelligence reports, in 2004, Hizballah financed approximately 70-80% of the terror cells in the field amounting to 1,500,000 dollars a year. The organization was also involved in smuggling weapons to the Palestinians, for example the case of Karen A and the Santorini. These weapons were intended to increase the violence in the area to much higher levels. It is noteworthy, that Hizballah systematically acts to prevent any possibility of negotiations between the Palestinians and Israel by initiating violence and attacks. On February 2005 after ceasefire agreement between Israel and Palestinian Authority (PA), official in the PA stated that Hizballah has been trying to recruit suicide bombers to carry out attacks which would sabotage the truce. More then that, Palestinian security officials have received threats that the President, Mahmoud Abbas, could be killed by Hizballah if he continues moves towards reconciliation with Israel. Abbas himself acknowledged that Hizballah might threaten his life during a private meeting with two US senators. 1. Al Manar television - The main mouthpiece of the organization which is televised via satellite to millions of viewers worldwide. In December 2004, France banned the station's broadcasts by satellite in France, a week later, the United States also declared that the station was broadcasting propaganda in support of terrorism. 2. Radio Al Nur - Broadcasts from Lebanon and spreads the organization's messages<>. 3. Official internet sites of the organization, Nasrallah, and other bodies in the movement. The media network serves to strengthen the organization's standing and that of its leaders within public opinion in Lebanon and outside Lebanon, to advance its ideology and strategic goals, to conduct a psychological war against its enemy and to spread propaganda to its other listeners. The organization used the media to advance the Palestinians' Intifada Al Aqsa as well as the resistance to the Americans in Iraq. The Hizballah organization is an international terror organization, which makes use of its socio-political arm to present an image of a legitimate pragmatic Lebanese party, which operates guerilla warfare against a conquering army. In actuality, however, the organization also includes a covert terrorist arm which it uses against Israel, and western targets. The organization has not abandoned the idea of realizing an Islamic nation through Jihad, based on the principles of Khomeini and it is waiting for the right time to realize this goal. Hizballah presents a significant threat to the international arena. 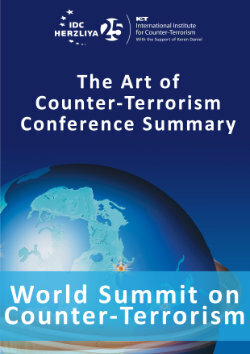 It has succeeded in establishing a global terror network which it utilizes to finance its activities, gather intelligence, aid and support other terror organizations includes Al-Qaeda, and to perpetrate terror attacks. Nicholas Blanford, "Hizballah in the Firing Line", Middle East Report Online, April 28, 2003. See also: http://www.aipac.org/NotableException112904.htm. Notable Exception: Some European States are Unwilling to Label Hizballah a Terrorist Group, November 29, 2004. See also: http://www.crosswalk.com/news/1247108.html, Patrick Gooddenough, "Australian Muslim Leader praises Suicide Bombers". Shaul Shai, Terror in the Name of the Imam: 20 Years of Shiite Terrorism 1979-1999. Interdisciplinary Center Herzliya, Israel 2001,pp. 23-28. Interview with Muhamad Fannish, Al-liwaa, September 16 1992. Al-Manar television January 18, 2002. "IDF Intelligence Chief Views Hizballah-Syria Ties, PA Chaos, Saudi Stability". The Jerusalem Post , July 26, 2004 . Esther Webman. Following 9/11 Islam and the West, Between Conflict and Making Peace, Moshe Dayan Center, Tel Aviv 2002, pp. 15-20. Interview with Nasrallah, Al-Manar February 20,1995. See also: Nasrallah Al-Safir February 24,1998. Matthew Levitt. Banning Hizballah Activity in Canada. Peacewatch/Policywatch Anthology 2003. The Washington Institute for Near East Policy, pp. 102-104. Additional American researchers, including Robert Satloff carry the same opinion, and contend that the organization is a global player which is a threat to the U.S.
 Levitt, 2003. On the reference to Hizballah as a player of global reach, see Kenneth Katzman, Narrowing options in Lebanon, in Stephen C. Pelletiere (ed.) Terrorism : National Security Policy and the Home Front Strategic Studies Institute May 15, 1995. "Hezbollah had plans to attack US, Israeli ships in Singapore" Agence France Press, 9 June 2002. See also: "Hezbollah denies plan to attack US, Israeli ships in Singapore", Agence France Press, 10 June 2002. See also: Matthew Levitt, "Hezbollah: A Case Study of Global Reach", 8 September 2003. Matthew Levitt, "Hezbollah: A Case Study of Global Reach"
 9/11 Commission Report, pp. < '>86,128. See also: " 9/11 commission find ties between al- Qeada and Iran", Time Magazine, 16 July 2004. "Terrorist and Organized Crime Groups in the Tri Border Area (TBA) of South America", Federal Research Division Library of the Congress Washington D.C., July 2003. Pp.14-24. "Asian Organized Crime and Terrorist Activity in Canada, 1999-2000", Federal Research Division Library of the Congress Washington D.C. July 2003. p.34. http://www.intelligence.org.il/eng/bu/hizbullah/chap_d.doc. See also: Ely Karmon "Fight on all Fronts , Hizballah the War on Terror and the War in Iraq". The Washington Institute Policy Focus, 2003. p. .8-11. See also: Yehudit Barasky, Hizballah the party of god, AJC, May 2003. Federal Research Division, Library of Congress, Terrorist and organized crime groups in the tri-border area (TBA) of South America. Tel Aviv court charges Danish citizen with spying for Hezbollah, Zvi Harel, February 3. 2005. Ely Karmon. "Fight on all Fronts , Hizballah the War on Terror and the War in Iraq". The Washington Institute Policy Focus, 2003. See also Matthew Levitt. "Hezbollah: A Case Study of Global Reach". The Washington Institute for Near East Policy. See also http://www.aijac.org.au/resources/aijac-media/cr-age-020603.html, , Colin Rubenstein . "Australia is Right to Ban Hezbolla, Here's why", The Age, June 2 2003. Robert Satloff, "U.S. Policy Toward Islamism: A Theoretical and Operational Overview". The Council of Foreign Relations, Inc. New York, 2000, pp. 16-18. See also: Rensselaer Lee and Raphael Perl, "Foreign Affairs, Defense and Trade Division, Issues Brief for Congress Terrorism, the Future and U.S. Foreign Policy", Congressional Research Service, The Library of Congress, updated 12.12.2002. Tally Kritzman, "Arrest of Hizballah Supporters in the U.S.A: Successful anti-terrorist action or a drop in the bucket? ", August 29, 2000, http://www.ict.org.il/Article.aspx?ID=785. See also: Zohar Palti and Matthew Levitt. Special policy forum report Hizballah's west bank foothold, June,18 2004. "Iraqi Source Reports Arrest of Hizballah Captain, Massing of Iranian Troops" Al- Shark Al-Awsat, June 19, 2004. "IDF Intelligence Chief Views Hizballah-Syria Ties, PA Chaos, Saudi Stability". The Jerusalem Post , July 26, 2004. Nasrallah speech, Al manar, September 4, 2004. Zohar Palti and Matthew Levitt . "Special policy forum report Hizballah's west bank foothold". June,18 2004. Nasrallah Speech , Al-Manar, October 30, 2004 , see also: http://www.intelligence.org.il/sp/1_05/hezbollah.htm. Hezbollah fighters may target Abbas, February 14 2005, By Inigo Gilmore. http://smh.com.au/text/articles/2005/02/13/1108229856602.html. see also Abbas fires commanders after truce violations in Gaza Strip, February 11, 2005, Soraya Sarhaddi Nelson, Free Press Foreign Correspondent, Detroit free press.